Hallo all, I hope you are all well. As my interest in pottery grows, I have purchased the 2015 copy of 'British Studio Potters' Marks - an excellent tome. However, I own the vase described in the images below but am unable to identify the marks from this book. This may be me being crass in my approach to reading the book correctly, but assuming not...does anybody recognise these marks? I don’t recognise the marks. Looks like it’s inscribed 2lb - two pounds in weight? Does it weigh 2lbs? 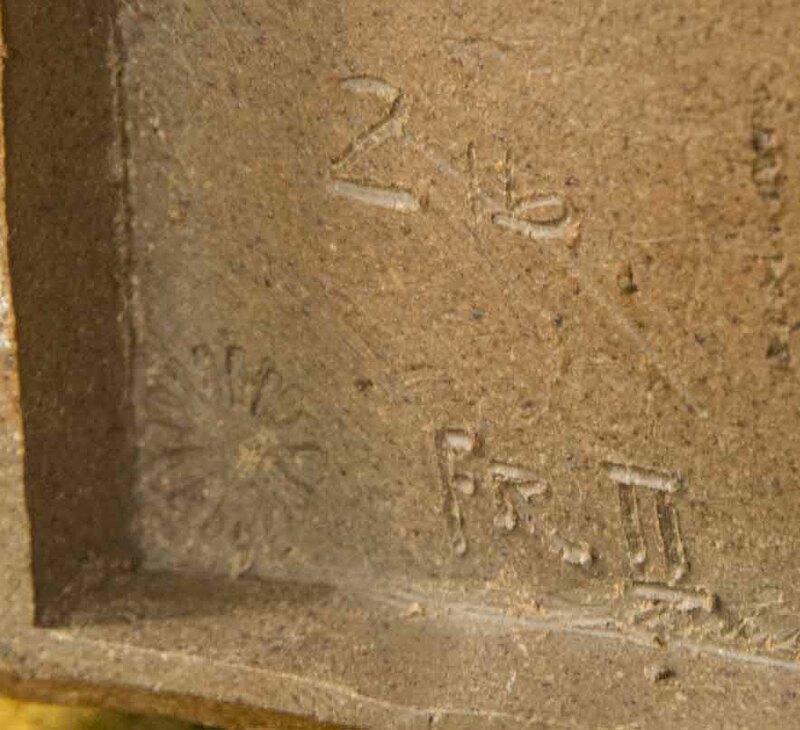 Most professional potters use a stamp, so the handwritten marks makes me suspect it’s by a hobby potter or student. Hi Naomi, thank you for your input. Not sure of the weight but is certainly heavy and could easily be 21bs. 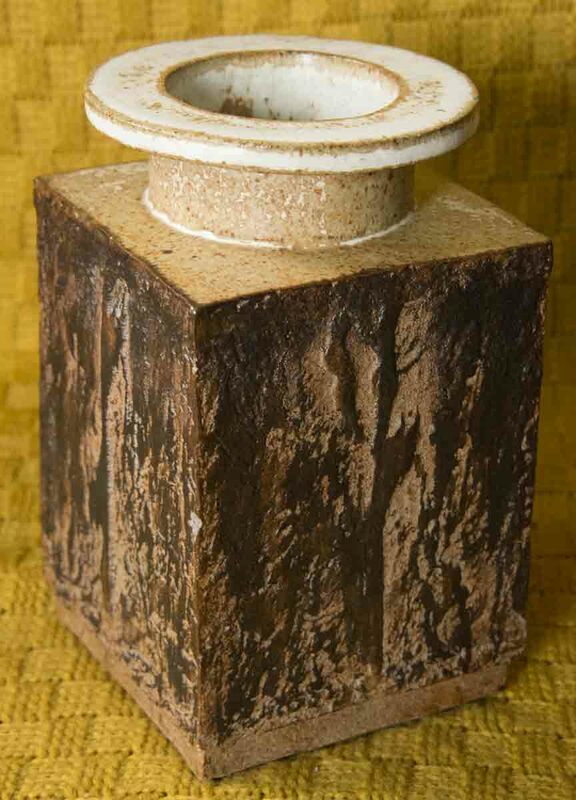 The base is 3.5" square and the hight is just over 6". Does the Yates-Owen/Fournier book only relate to professional potters? If so, it would explain my inability to find these marks. I think that pretty cool - is that an FR, may be French. Hi tenpot/olipayton, thank you for your comments. You prompted my next question tenpot: I was wondering whether the firing would remove moisture and therefore change the weight, making it difficult to predict the final weight. Agreed olipayton...I like the solidity of this piece and I think the artist must have had a 'wood' concept in mind with the decoration. The shape is very 'satisfying'. I think it is either Fr or F with an upturned arrow: either way the 'II' begs questions.